The 2013-14 academic year for St. John’s College opens on Wednesday, August 21, at 4:15 p.m. with Convocation, the annual ceremony that brings together the St. John’s community for a new year. At St. John’s, Convocation is rich with traditions that symbolize what it means to be part of this community of learners—a community where all students read the same great works of Western civilization and take part in discussion-based seminars. This year, Annapolis welcomes 124 freshmen. After the academic procession to Francis Scott Key auditorium, each freshman is called on the stage to meet President Christopher Nelson, then sign his or her name in the college’s register and receives an Ancient Greek lexicon as a gift from the college. 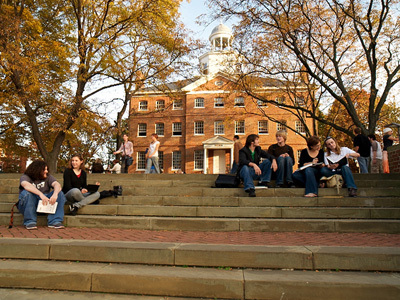 The Annapolis undergraduate enrollment is expected to be 450 at the start of this year. In addition, 60 students are expected to begin or continue their studies in the college’s Graduate Institute.